Innova is the best MPV in India. Do you agree? Well I don't think anyone will disagree, and even if some will, the number will be very few. Toyota brings the latest edition of the almost decade old Innova, the Crysta. It is a very good advancement and takes the Innova tradition to a whole new level. This is my view about the new MPV (Multipurpose Vehicle) from Toyota. Hope this article helps you in actually understanding the car. The classy design of the Innova studded with the reliability of Toyota was the main aspect because of which the original decade old Innova was instilled in the mind of almost every Indian. The new Innova takes it to another level. If I say this is the best MPV in India right now it won't be an overstatement. Such is the supremacy of this new Innova Crysta. Frankly speaking this will bring a lot of people wooing towards the new Innova Crysta. Often when a new model is launched in the place of an already established model, there can be at least one thing which we think could have been better on the new one, but here the Crysta is truly innovative and no complaints can be made; this is a very meaningful up gradation. The seven – seater is something which Indians love and Toyota really makes this MPV meaningful in almost every way. 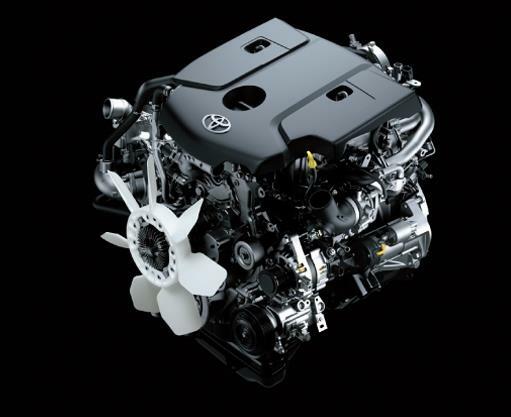 I will take you through the journey of understanding this excellent machine from Toyota. Almost everything you will find on this car is really top-notch. No wayward critic in any way can complain or criticize the car. It is truly something to ponder about and really own it. Without doubt this is the best MPV in the Indian market today. It has everything you need. This is the best successor to the reliable and fantastic Innova and I would say as far as the consumers as concerned, it is going to be a hit. I was a big fan of the original Innova because of the unique and sleek design and also because of the reliability Toyota has because of which the earlier MPV was a huge hit and the Indian consumers welcomed it with both hands. This new Innova Crysta I would say is far more refined and good looking with a lot positives. I normally like to bring every core aspect of the thing I am writing into the readers mind so that they understand all the positives as well as negatives and here even though I will push myself harder to bring negatives into the picture I don't think I am going to succeed in that much, because the car is devoid of any negatives as of now. Now let's get into the main stream of things. Let us start with the design and looks. The design is somewhat like the old Innova with minor tweaks here and there. What you would find here is absolutely satisfying and really enjoyable design. The car has been tweaked to look the way it is meant to be. The old Innova was good and here with the new Innova Crysta, Toyota has redefined the Innova by all means. They have made it a little more eye-catchy with all the cosmetic upgrades. One of those important tweaks I like personally is the tail lamps which look a bit like the Land Cruiser Prado's. The magnificent imposing front grill adds muscular beauty to the overall design of the new Innova Crysta. The chrome window lining is what finishes the job so well. I would like to say that this design is the best I have ever seen in the MPV category. The design is extremely appealing and wonderfully finished one making the already beautiful Innova a bit more charming. Everything you would find on this vehicle is top-notch and no one can complain about anything here. The new design is amazing, and this is the least I can say. I would like to give the design 4.9 stars out of 5. Had I been given the luxury of giving it 5 stars I would not have hesitated either. This is the best designed MPV and the Crysta redefines the Innova by all means. The Innova Crysta has a 2393cc 2.4 Litre 147 BHP 16V GD engine delivering a maximum power of 147.8 BHP@3400rpm and a maximum Torque of 343NM@1400-2800rpm. The specs which I have given here is of the 2.4 Litre G MT (Manual Transmission), though I will explain to you how both the automatic as well as the manual perform. Here speaking of this G MT version it is quite a good performer. Now what the all new engine does well is something which the old one couldn't do. The engine is now a way too refined than the older version and carries the car a lot better than the previous Innova. The engine this time around has a lot more breathing space and does well at higher rpms. Unlike the old Innova which always tried to look for the 6th gear here the car feels a bit more fluid even at higher rpms. The Automatic as well as the Manual one performs well but I would suggest you to go for the Automatic one which feels a bit more fluid on the go. One more thing I feel is that the Auto Transmission is for the first time on the Innova and many buyers would love to taste that. The engine sounds better and feels exactly like the new generation car. The old Innova sounded a bit like a tractor, here the sound is good and feels new and refined. The ride quality is excellent and there is nothing to complain about. The already good ground clearance has been increased a bit. The bigger footprint of the Crysta feels really sturdy on the road, even though doing corners can be a bit annoying because of the rolling feel but it is not anything you should be concerned about. There are no noises creeping inside the cabin till you reach the 140kmph mark. I would rate it 4.8 stars out of 5 for the engine performance and the ride quality. This is one area where I really fell for the new Innova Crysta. The interiors especially the dashboard is not like the old Innova and has a lot of premium feel to it. This is without doubt the best interiors designed by any company for such an MPV. The wooden finish you get on the dashboard and the all new designed dashboard is certainly one which steals the limelight. This is absolutely something you wouldn't find on any car of this price range. The infotainment system, the equipment and the practicality of the car is top notch. As the new Innova Crysta is a little bigger there is enough space for comfortable journey. Even the last row of seats is comfortable; there is enough leg room and headroom on every seat on the Innova Crysta. As almost all Innovas are manufactured keeping the second row of seats in mind, the second row of seats look a bit more premium than the first row of seats with wooden finish and also a good amount of storage space. The boot too is large enough. The interiors are one of the defining features of the Crysta. I would rate it 4.9 stars out of 5. The 8S 2.4G MT gives around 12.0 kmpl in city and 15.1kmpl on highways. This is good and if you go by the overall prowess and the quality which the car possesses, this is a fantastic offering. The mileage figures are satisfactory. The base variant, the 2.4 G MT 8S (Diesel) is priced at around Rs. 13.9 Lakhs whereas the top end variant, the 2.8L ZX AT (Diesel) is priced at 20.7 Lakhs which can be a little expensive, but if you need a top end Innova this is what you should pay and there are no complaints. Good larger appealing design, good engine refinement, excellent ride quality, spacious and beautifully crafted best -in-class interiors, decent mileage. Ride can be a bit stiffer on bumps at lower speeds. If you are looking for an MPV with good and excellent features this is the car for you. There is nothing you can complain. Every aspect of this car has been taken care of and has very premium look to it. This is one MPV which is always the best in the category and with no doubt is a true up gradation to the decade old Innova. People you can straightaway go and own this powerful and meaningful MPV. BY MPV standards this is the best car in the segment and with all the premium look and feel to it, this is a car which every person should wish to have in his/her garage. Hope this article helps. Drive Safe. God Bless.